The watch world is buzzing with excitement for the upcoming sale of Paul Newman’s Daytona. It is after all the watch that kicked off the Rolex Daytona “Paul Newman” phenomenon. And by phenomenon, we mean that the Daytona Paul Newman is the most coveted vintage luxury sports watch in the market today. A Cosmograph Daytona Paul Newman is a rare watch that is constantly increasing in value. For those who may not know what the Daytona Paul Newman is, it’s a nickname that refers to a group of vintage Rolex Daytona watches that sport very specific dials. In the 1960s, Rolex produced special dials for Daytona chronograph watches, which they dubbed as “exotic dials.” Characterized by contrasting colors of the main dial and subdials, Art Deco style numerals on the subdials, and other design details, these dials only became popular once Paul Newman started wearing one. Newman’s particular Daytona was the ref. 6239 (he later owned other models). However, the ref. 6241, ref. 6262, ref. 6263, ref. 6264, and ref. 6265 Daytona watches with exotic dials are also considered to be Daytona Paul Newman watches. Aside from passionate vintage Rolex watch collectors, Rolex Daytona Paul Newman watches are also very popular with some celebrities. Let’s find out who they are. Singer, songwriter, front man for Maroon 5, and judge on NBC’s hit show, The Voice, Adam Levine is a big fixture on the global music scene. 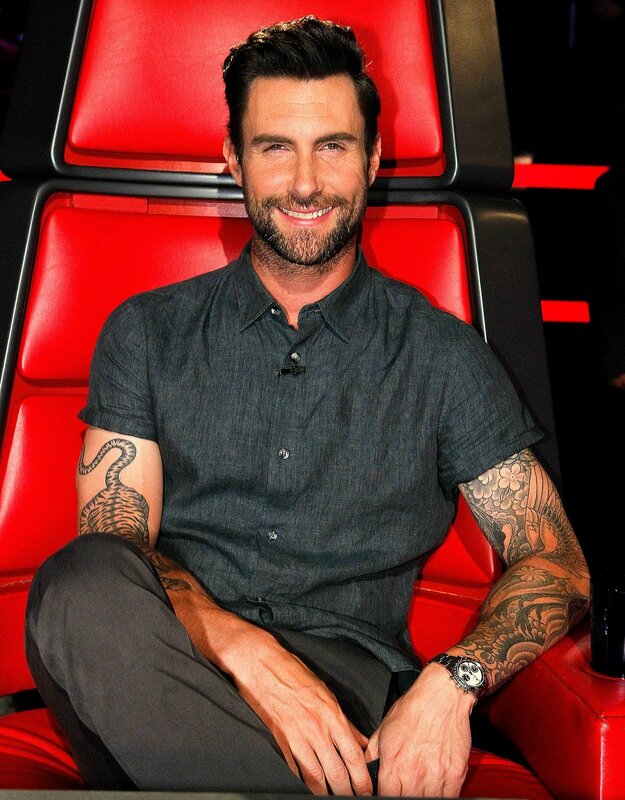 Outside of music however, Levine is also an avid Rolex fan with plenty of watches in his collection. Among them is a Daytona Paul Newman ref. 6241 with the white dial, black registers, and red minute track on the periphery. Plus, he has another Daytona ref. 6241 with the Paul Newman dial with the opposite color scheme—black dial, white registers, and red minute track. Both stunning examples of vintage Rolex Paul Newman watches indeed. 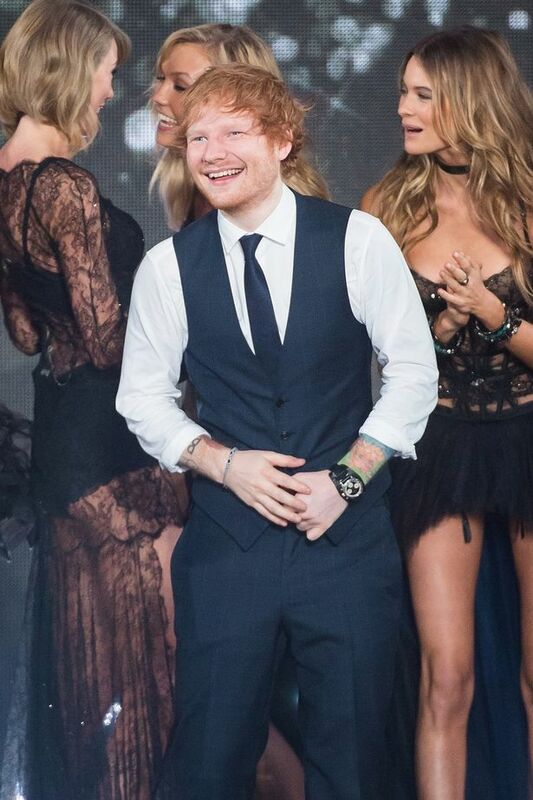 Another musician with an eye-popping luxury watch collection is English singer-songwriter, Ed Sheeran. Although he’s only 25 years old, he has some very serious timepieces in his watch box including Patek Philippe, Richard Mille, IWC, Hublot, and of course, Rolex. Sheeran’s Rolex that caught our eye is—just like Levine’s—the vintage Daytona Paul Newman ref. 6241 with the black dial, white sub-dials, and red outer track. He wore this particular model on a leather fat strap when he performed at the 2014 Victoria’s Secret Fashion Show. Yet another celebrity owner of a Rolex Daytona Paul Newman ref. 6241 is none other than Ellen DeGeneres, Rolex enthusiast. The queen of daytime TV has with her so many awesome watches to her name including Submariner watches, Day-Date President watches, a GMT-Master “Pepsi” watch, and more. 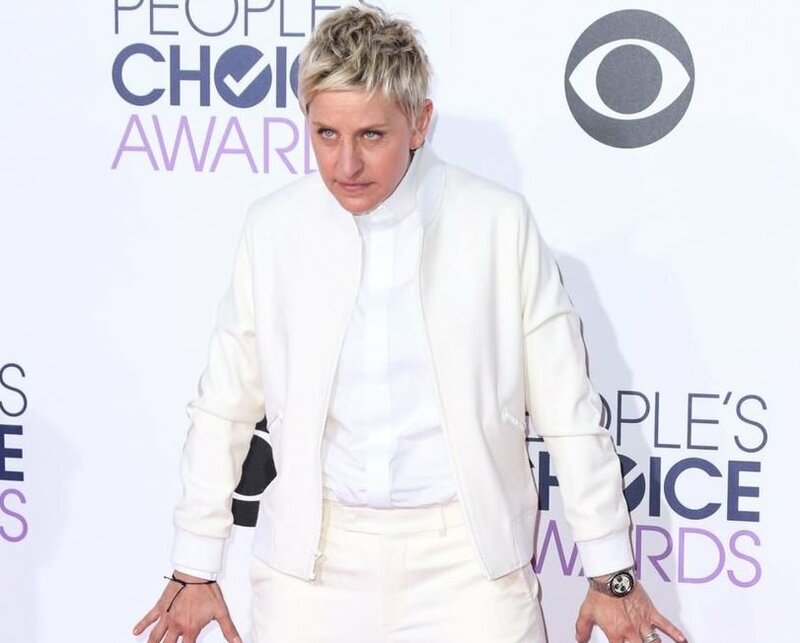 Tune into the Ellen Show and you’ll no doubt see the famous host with an awesome Rolex watch on her wrist. Similar to Levine and Sheeran, DeGeneres’ Paul Newman Daytona ref. 6241 also sports a black dial with the trio of white registers. We spotted it on her wrist during the 2015 People Choice awards, which she paired with a suit from her own clothing line. 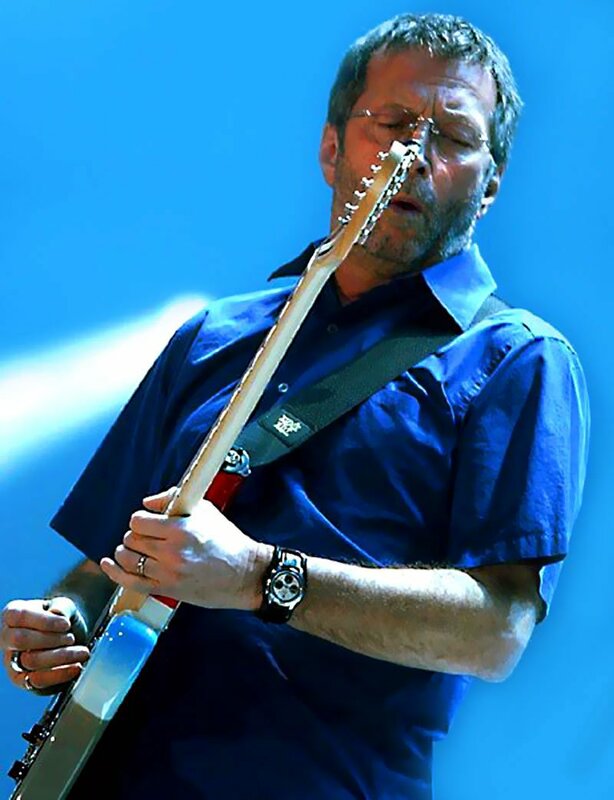 As a former Rolex ambassador and passionate collector, legendary musician, Eric Clapton, has owned some of the most important Rolex watches ever. In 2003 he sold his ultra rare Yacht-Master prototype at auction for $125,000. The prototype looks remarkably like a Daytona Paul Newman and nothing like today’s Yacht-Master. In 2008, he sold his “Oyster Albino” Daytona ref. 6263 for $505,000. That Albino sold again in 2015 for $1.4 million. Clapton has also been spotted on many occasions wearing a Daytona Paul Newman with a white dial, black registers, and steel bezel. In fact, he even wore his on a black leather fat strap just like Paul Newman himself did. Although the Paul Newman Daytona is already so popular among celebs and regular folk alike, we can only imagine that interest in this particular vintage Rolex watch will peak even more once Phillips completes the sale of Paul Newman’s actual Daytona timepiece in October. Just like everyone else in the watch industry, we’ll be watching closely as events unfold. Do you know of any other celebrities that wear a Rolex Daytona Paul Newman? Chime in the comment section below.